The lawsuit, which was first reported by the New York Post, lays out the facts that have become common knowledge. 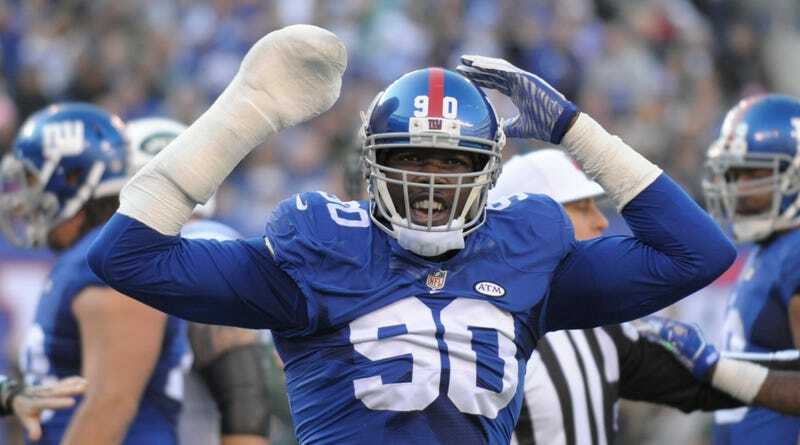 Last summer Pierre-Paul blew up his hand with a firework, was admitted to Miami’s Jackson Memorial Hospital, and had his right index finger amputated. Schefter subsequently obtained the above two photos of Pierre-Paul’s medical records, and tweeted them out. Because the Hospital disclosed the Chart to Schefter, he was prohibited from further disclosing it or any information therein without the expressed written consent of Plaintiff or Plaintiff’s legal representative, which consent was never sought or obtained. As we wrote at the time, Schefter made a curious decision to tweet photos of the chart. He says he did so to provide incontrovertible proof of Pierre-Paul’s amputation, but given that he is the biggest and most trusted NFL reporter, almost nobody would’ve questioned him if he’d simply reported that Pierre-Paul’s index finger had been amputated. Schefter’s tweet had real negative consequences: two hospital employees who leaked photos were fired, and Jackson Memorial settled a lawsuit over the matter (probably filed by Pierre-Paul, but it’s not 100% certain). With all that being said, this is an extremely tough case for Pierre-Paul to win. Reporters aren’t subject to HIPAA, and the Florida statute cited doesn’t really seem to apply to Schefter, only the hospital employees who sent him the photos. And public figures like Pierre-Paul—even the lawsuit acknowledges that “the amputation may have been of legitimate public concern”—rarely win invasion of privacy cases. You can read the full suit below. Contact the author at kevin.draper@deadspin.com.